I have been trying to mix things up at breakfast but when you're running around in the mornings trying to get out the door, that can sometimes be pretty tricky. Most of us are creatures of habit and whether you like to spend your precious minutes making a delicious bowl of creamy porridge or are more the grab an apple and run out the door kind of person, we really have to remember that breakfast is the most important meal of the day. 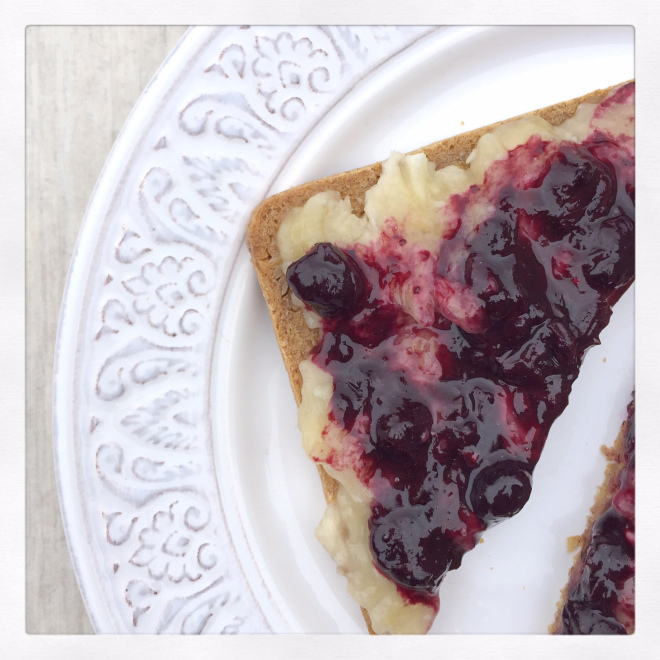 This recipe is perfect as it kind of works as a two in one - I love to put it on my porridge or use it as a spread on a slice of toast. You could also add it to chia pudding or probably find a whole load of other ways to use this delicious compote. Blueberries are so good for us as they are high in antioxidants. I like to use frozen blueberries as they are usually higher in nutritional value and they tend to be sweeter too. Place all the ingredients in a pan on a low heat and stir gently for about 5-10 minutes until the blueberries start to disintegrate. Serve immediately or allow to cool before storing in the fridge for about 3 days.